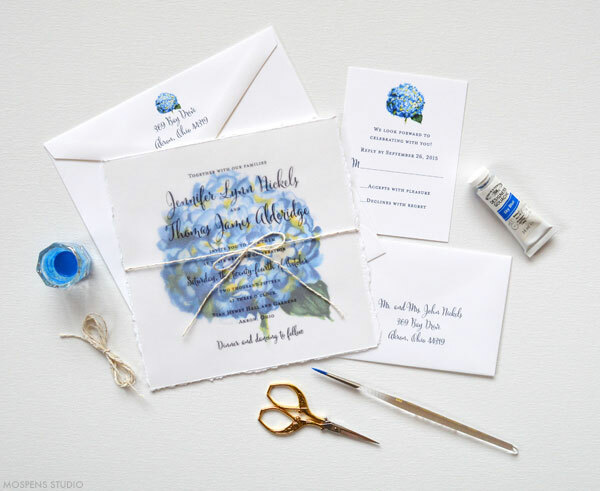 Beautiful Blue Watercolor Flower Wedding Invitations! 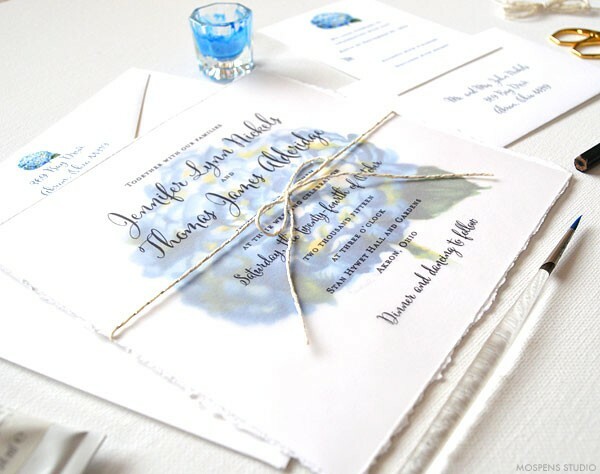 This unique wedding invitation is also an art print keepsake. The vellum overlay is printed with your text. 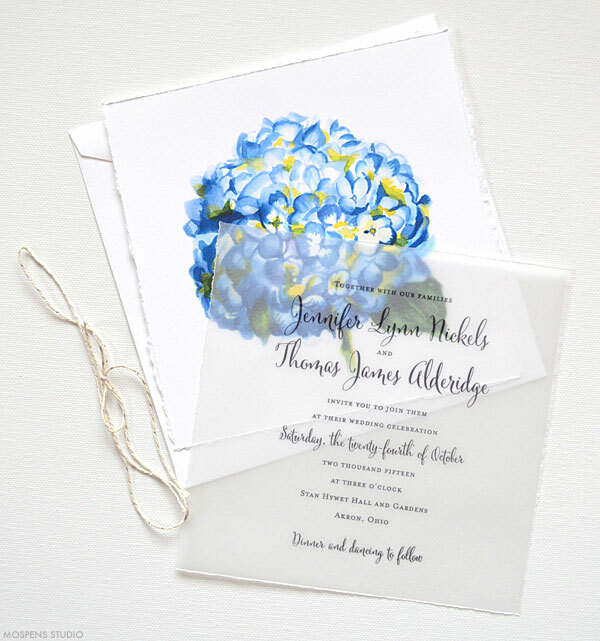 When your guests move the vellum they are gifted with an art print to keep forever. 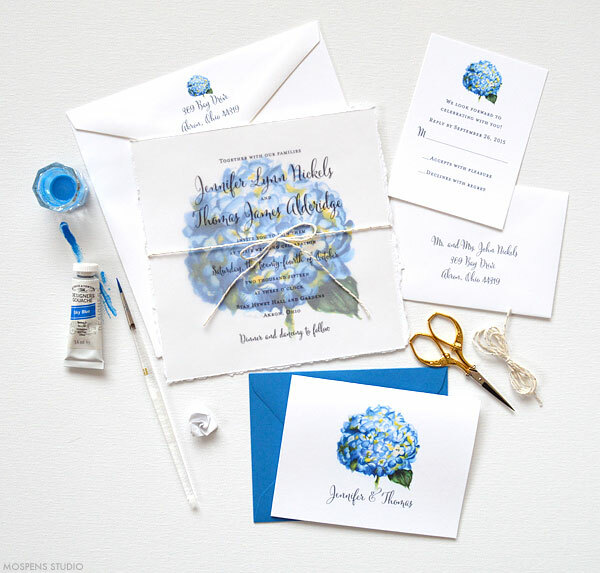 Watercolor Wedding Invitation Suite with original hand painted blue hydrangea flower art, hand torn edging, and hand tied twine! The hydrangea is also available in blush pink, autumn burgundy, summer pink, spring lilac, and fall green. 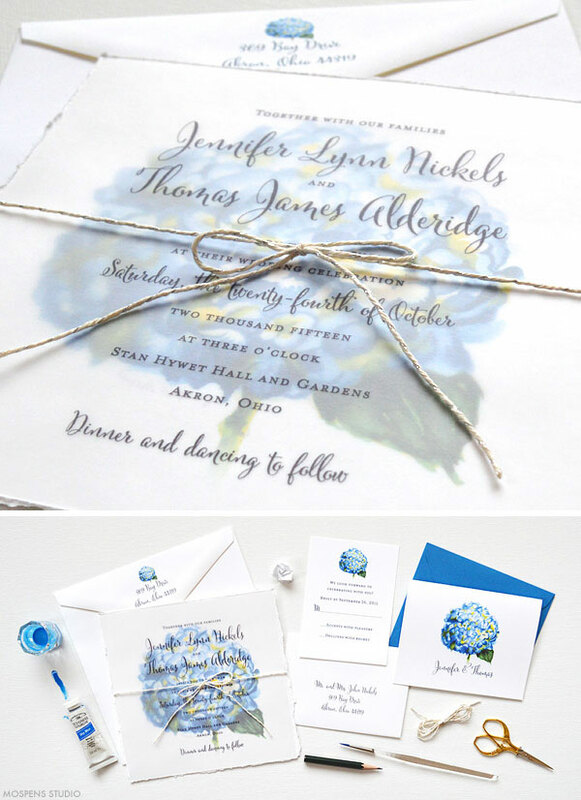 Fonts, ink color, flower color, and wording can be customized by either James or myself after you order 25 or more. A proof preview is provided after you order. 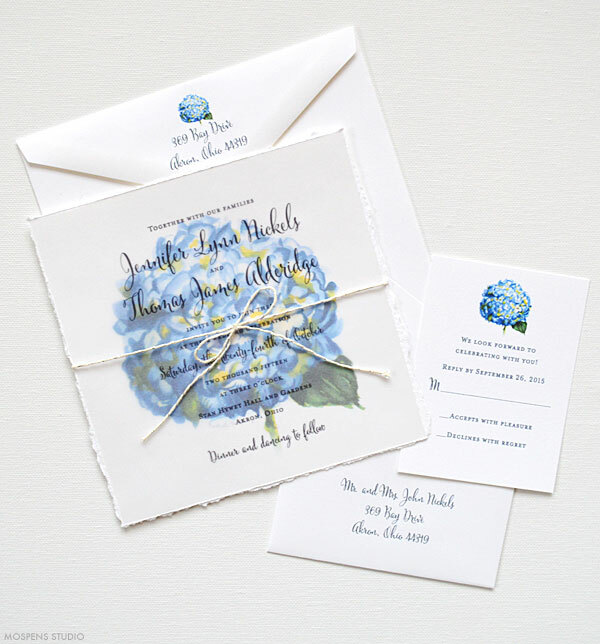 We only print your wedding invitation suite after receiving your final approval to print. Amazing work with water colors..